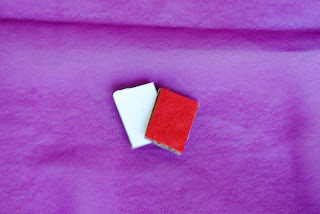 First, cut out 2 small pieces of cardboard (mind were 1 inch x 1 1/4 inch) and 2 pieces of felt and paper the same size. 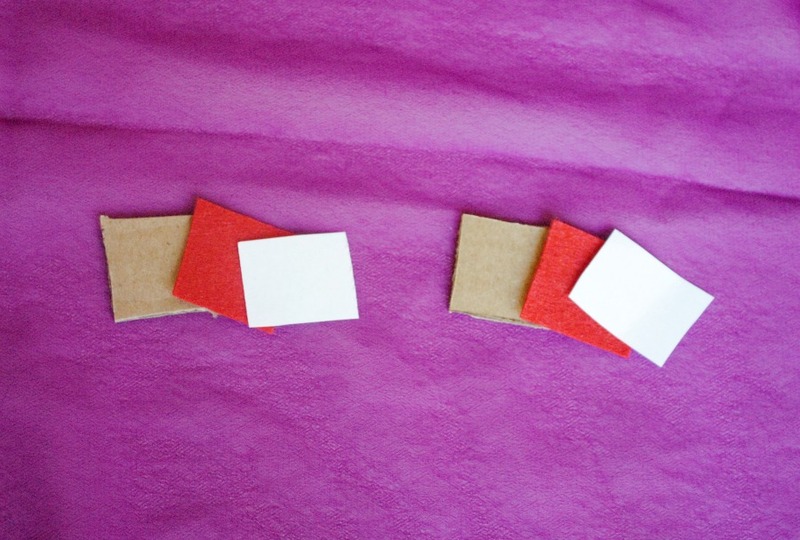 Now glue the paper on one side of each of the cardboard pieces and the felt on the other side. Take a hot glue gun or some strong adhesive and glue the two pieces together like an open book. 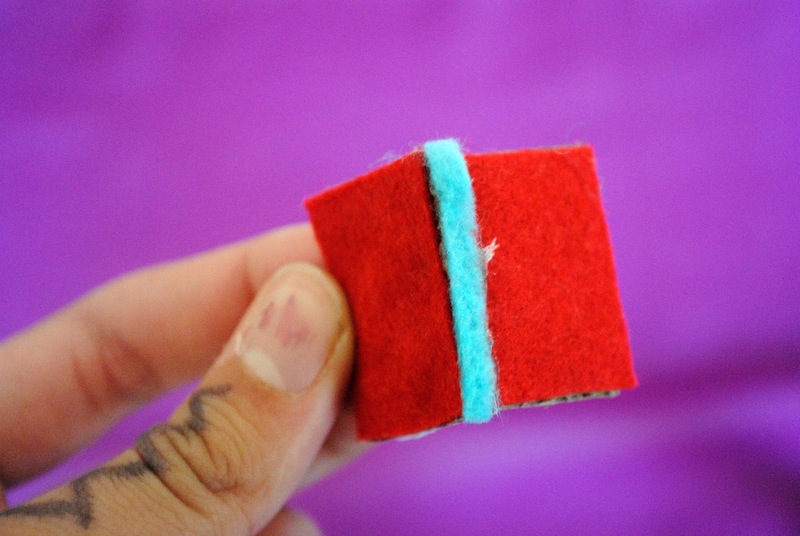 Now, for the spine, get a thin piece of felt, paper, ribbon, etc and glue it on the part where the spine should be. There's still parts where there's brown from the cardboard. So in order to cover those, take some thin slips of felt or paper and cover those parts. 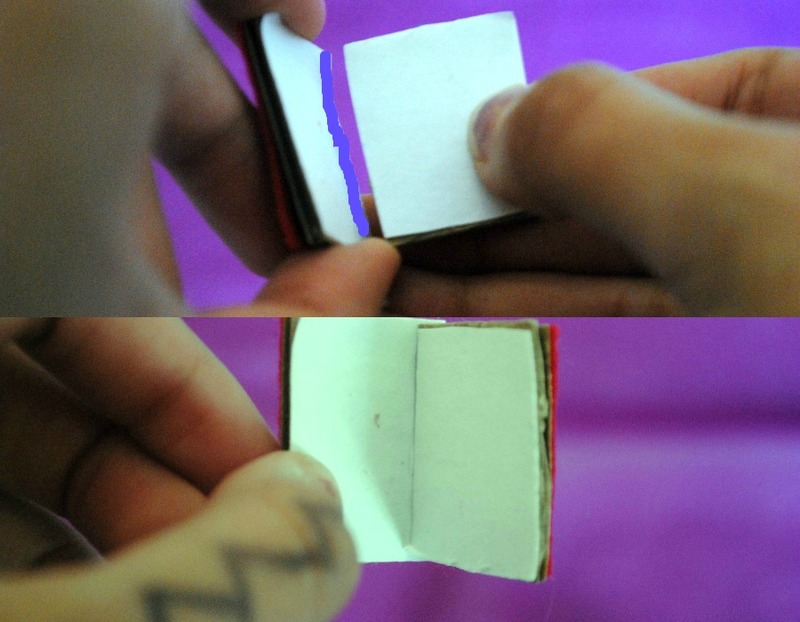 Make sure you put the felt/paper in the spots where they make sense. I put paper strips on the top and bottom, that's what a normal book would feel like. And then I put felt on the sides, to make it like a book jacket. You're finished! 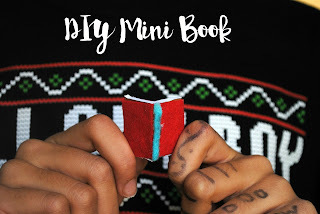 You can make it a little charm, add it to a necklace, give it to your dolls, make a bunch and give them to your friends, or put them with your books! I hope you enjoyed this DIY, it was really fun to make and I think you guys will have fun making it too :) Customize them to your liking! lol, I love to read, too! You should totally do more outfit posts, like how about you do 1 on Monday!? It's actually called a shawl :) But I'm glad you liked it! Awww, the mini book is so cute! And yay for getting the tripod, i really want (and need) one. The book IS cute! What did you write in yours? I'd love to know, unless it's something private. 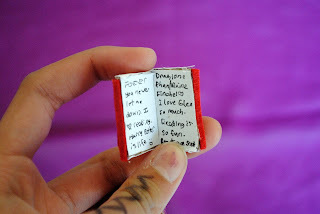 These are so cute, I would have to make a mini bookcase too! Aww! This is so fun and cute. 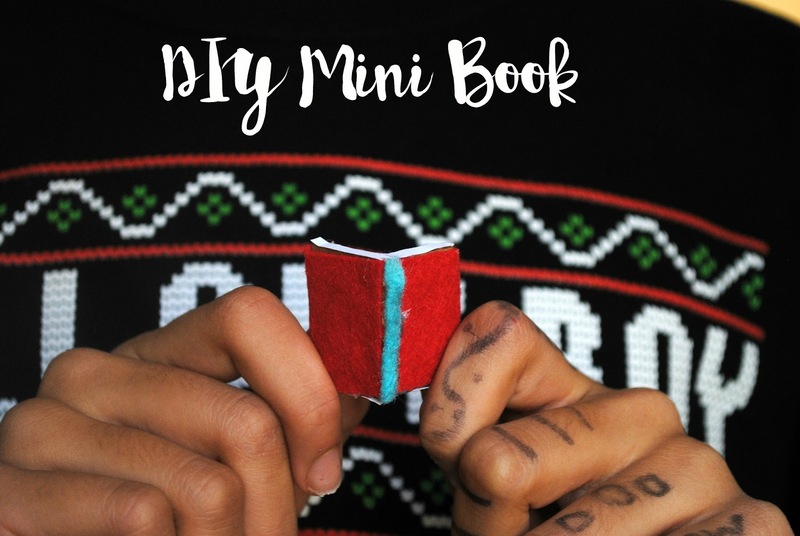 And simple for those of us who aren't all that crafty (*cough* me). Thanks for sharing Noor c: lovely pictures too. This is really cute and I agree with MeMe Books- making a whole lot of these and a matching bookshelf to sit on your bookshelf (booksheption? bookshelfception??) would be a really nice decor idea!